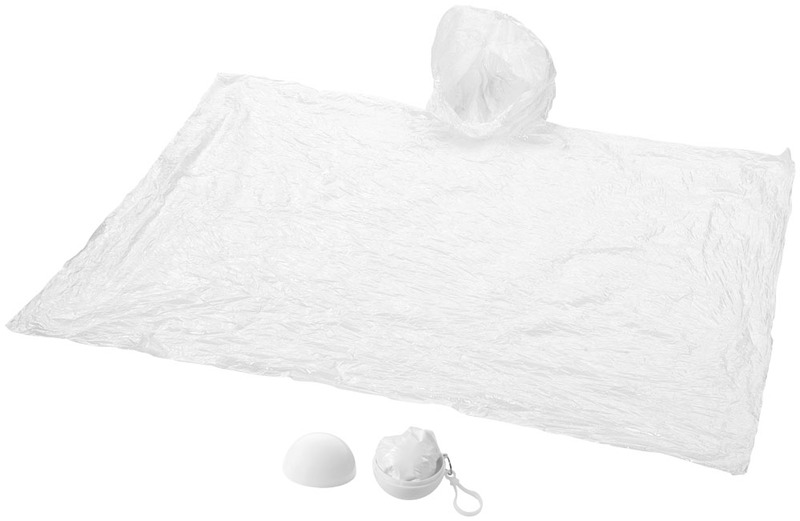 Ziva disposable rain poncho with pouch. 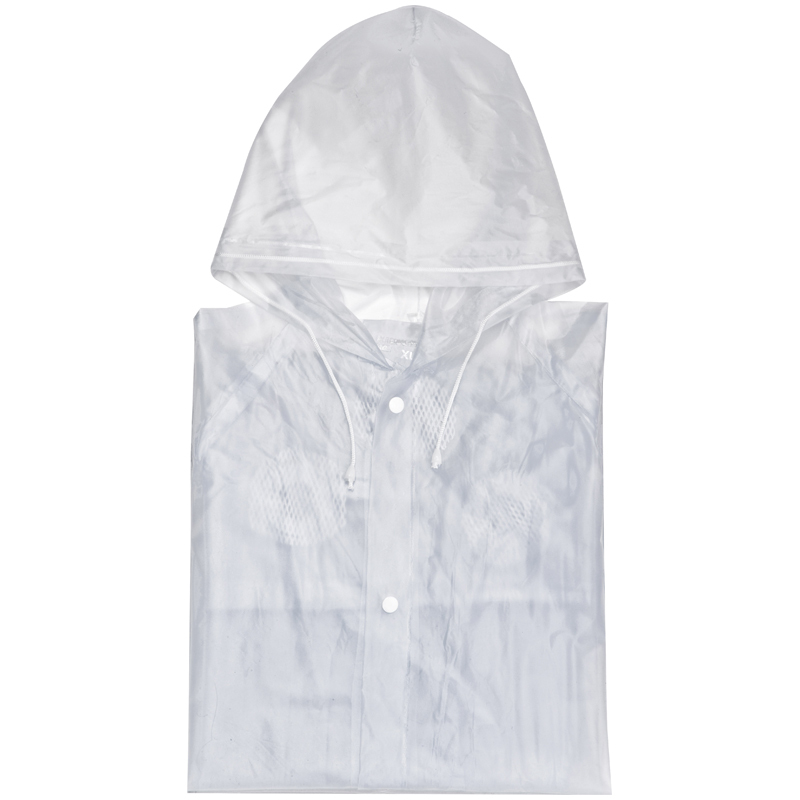 Poncho with hood in resealable pouch. Decoration on pouch only. 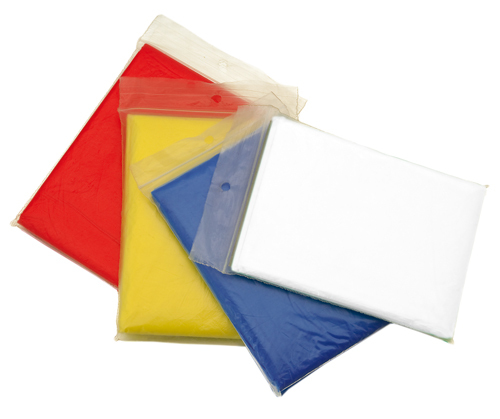 PE plastic. 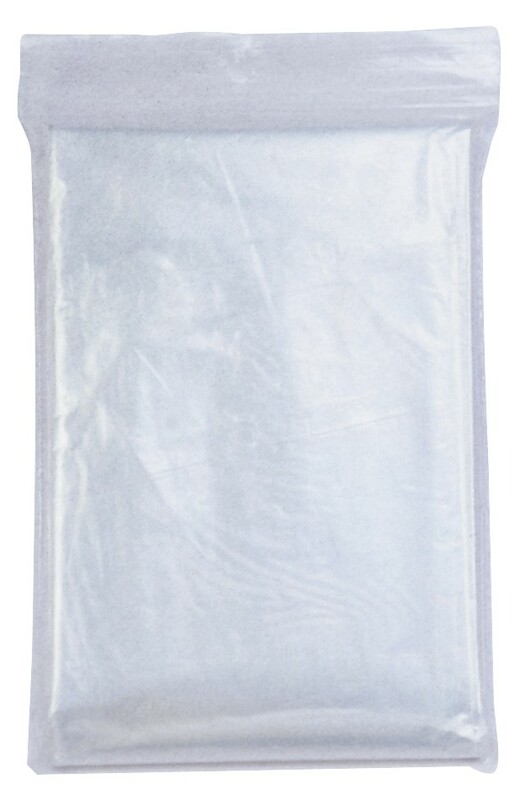 Transparent poncho in zipped plastic bag. 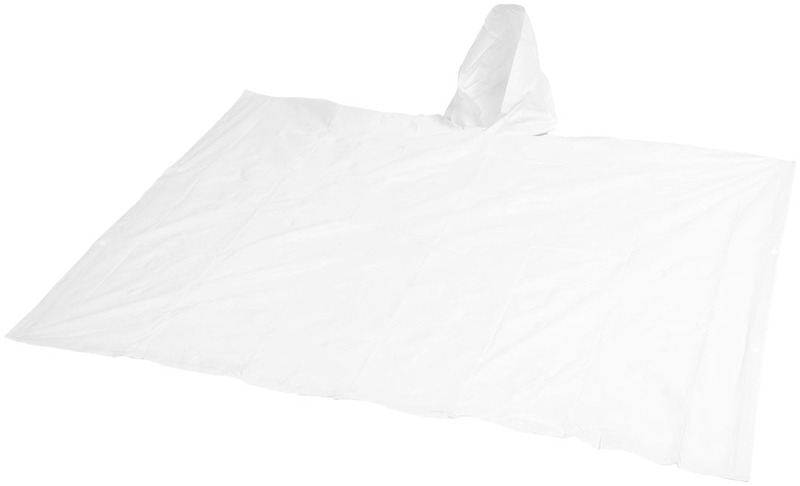 Size:102×127 cm. 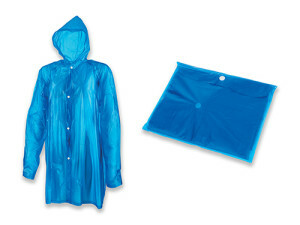 Disposable rain poncho with pouch. Poncho (120x90 cm.) with hood. 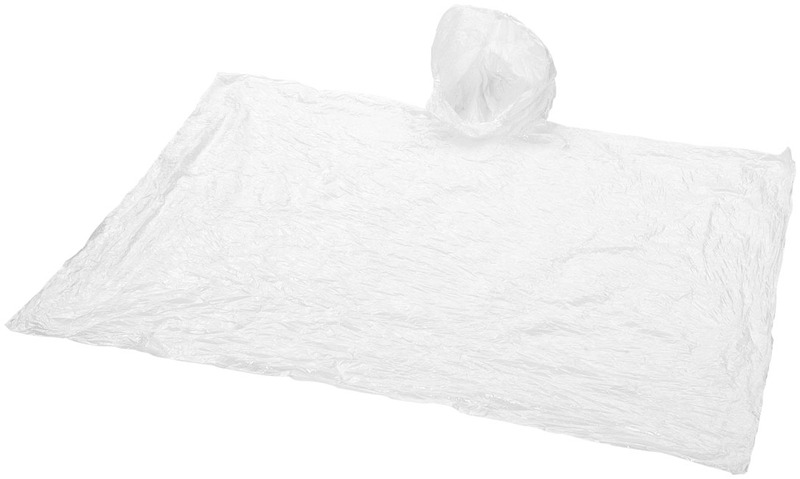 Includes a convenient, reclosable pouch. Decoration on pouch only. PVC. 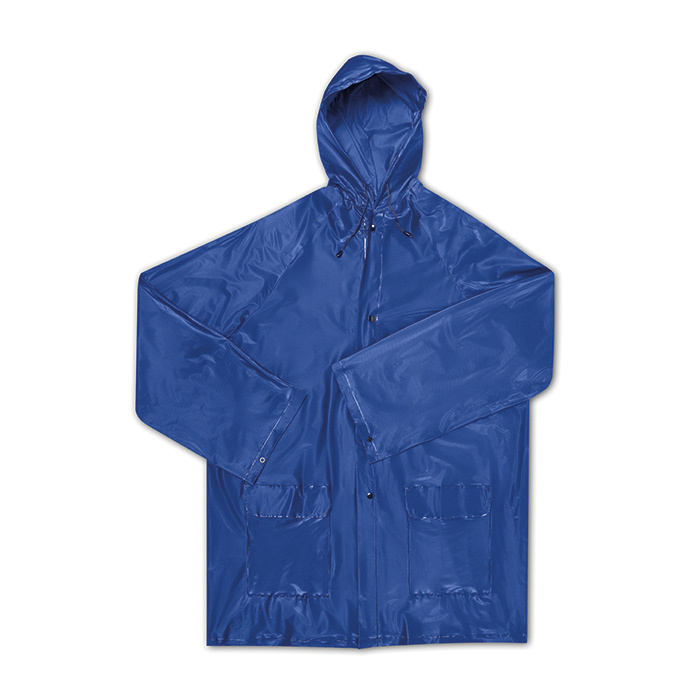 Rain poncho. 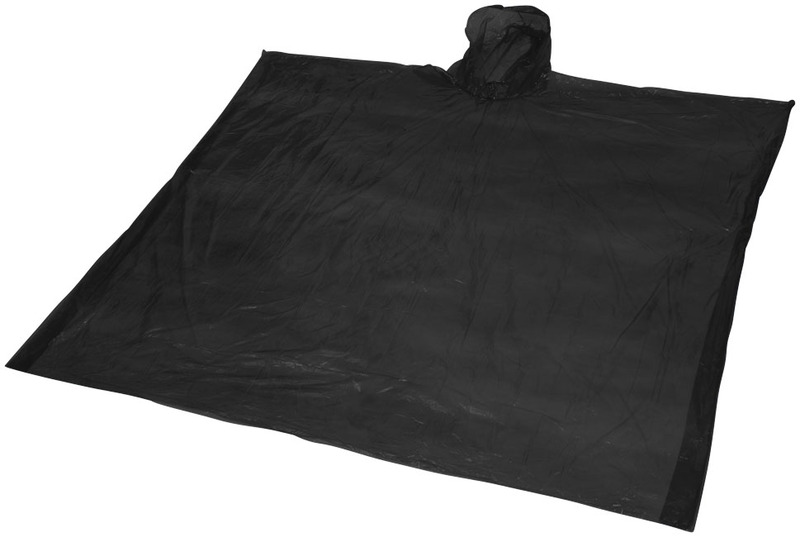 One-size-fits-all hooded poncho (90x120 cm.) for unexpected downpours. Conveniently compact container hooks onto a keychain, fits into a small pocket and is a great add-on to any bag or drinkware piece. Decoration on container only. PS plastic. 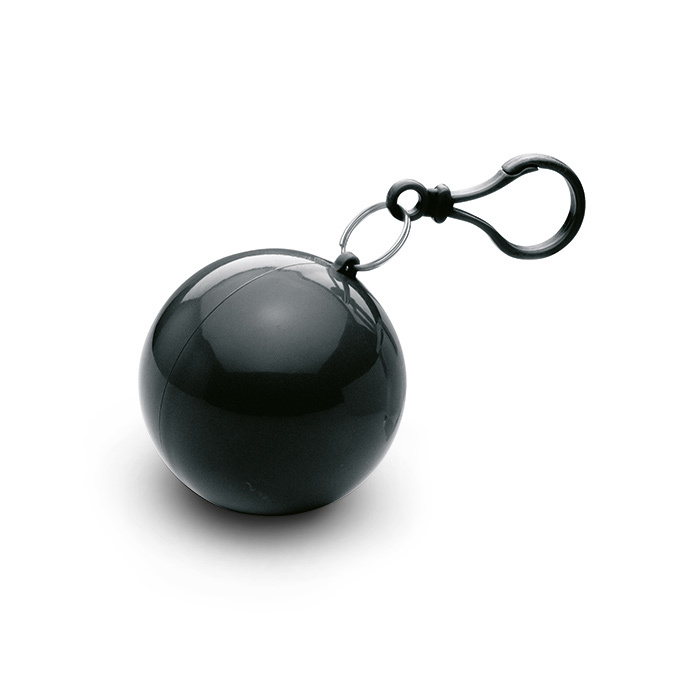 Poncho for children in ball shaped carabiner keyring. 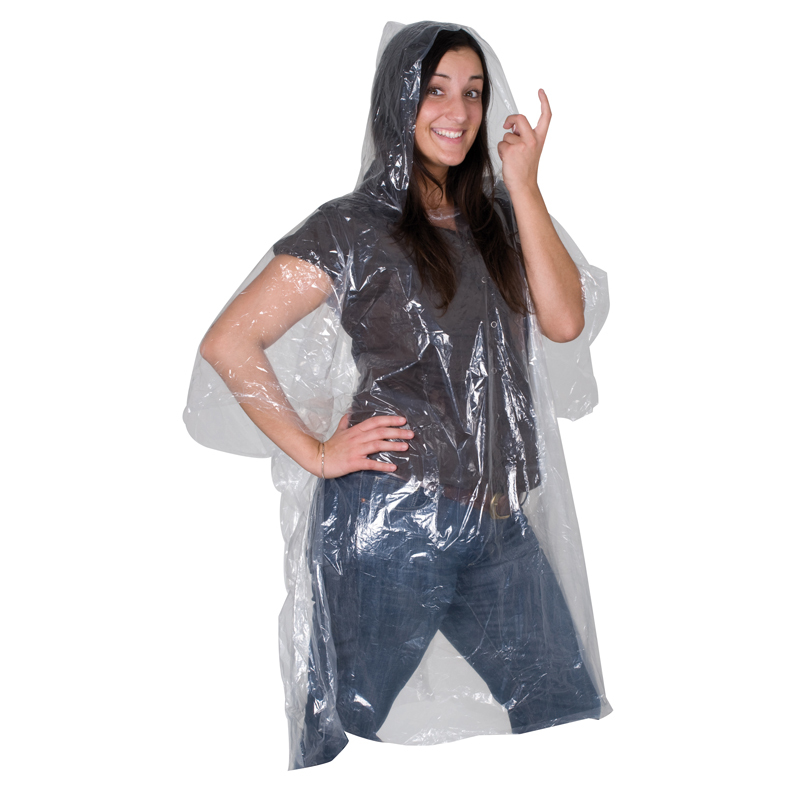 Xina rain poncho - football. 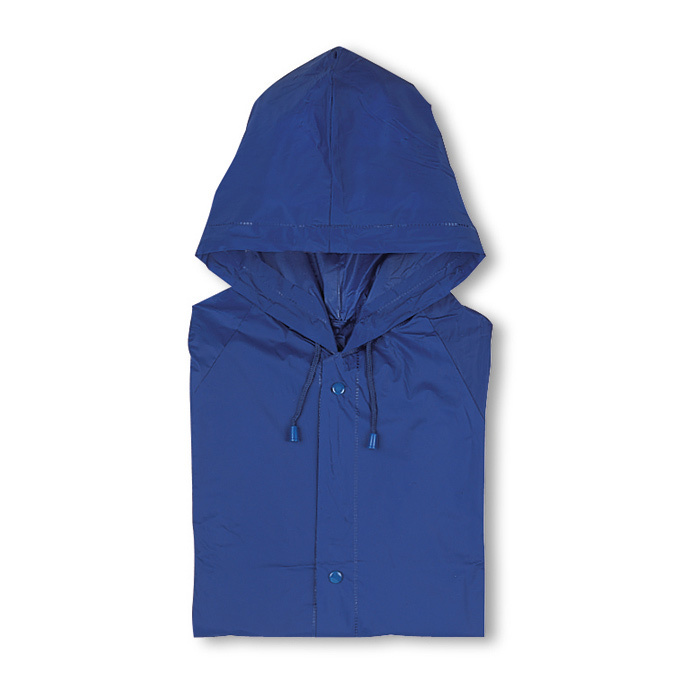 One-size-fits-all hooded poncho (90x120 cm.) 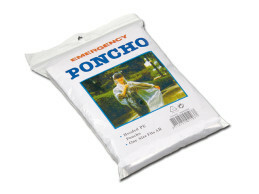 for unexpected downpours. 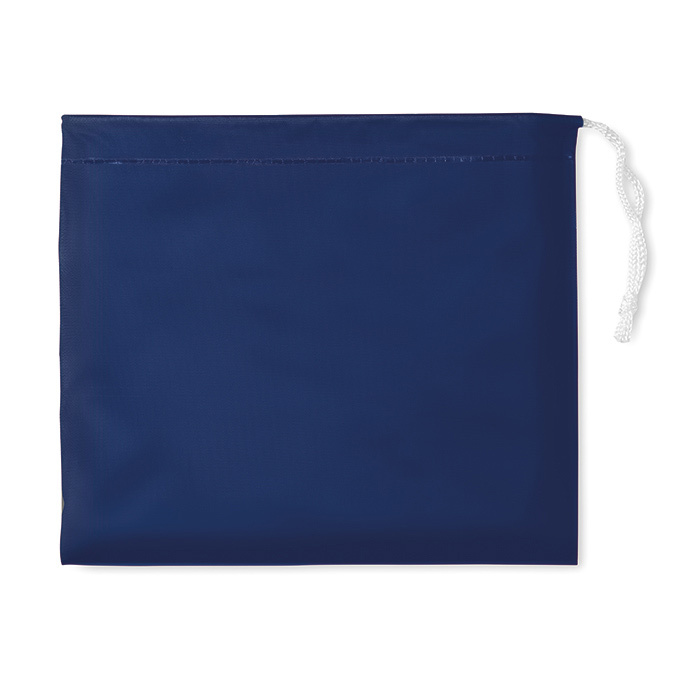 Conveniently compact container with football print hooks onto a key chain, fits into a small pocket and is a great add-on to any bag or drinkware piece. Decoration on container only. PS plastic. 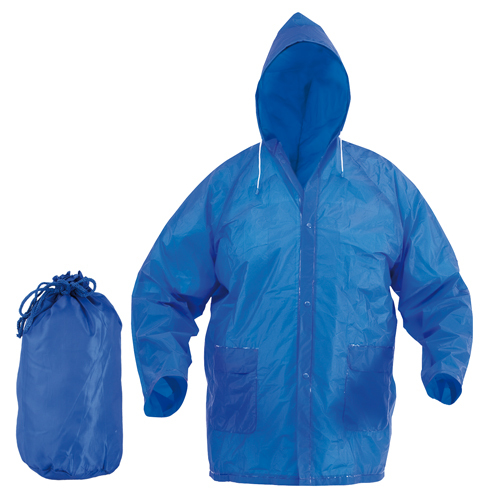 Classic raincoat with pushbuttons and hood in XL, made of PVC. 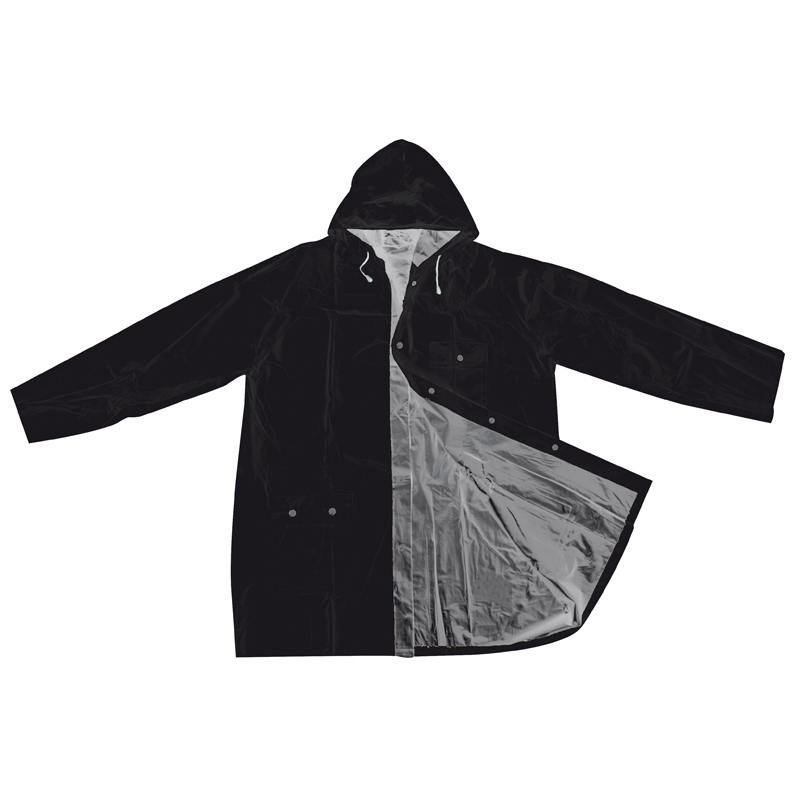 Zipped raincoat with hood, in one size. 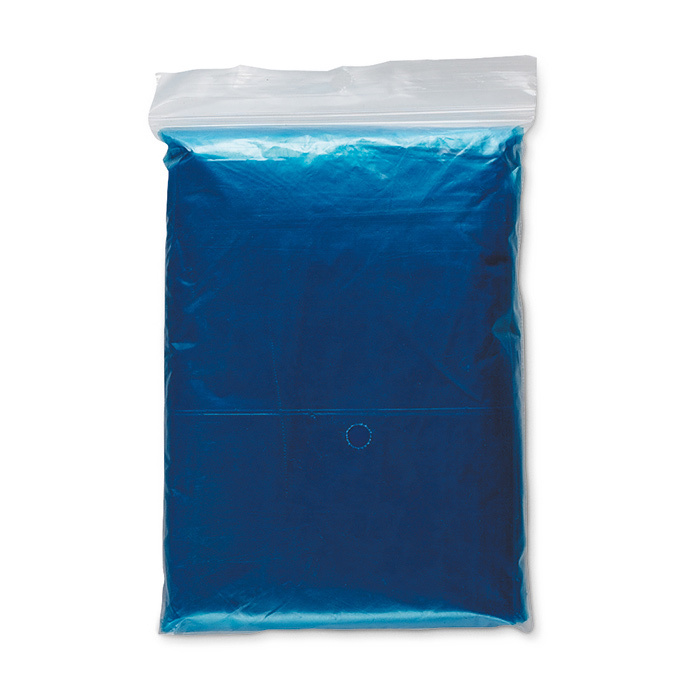 Including carry pouch. 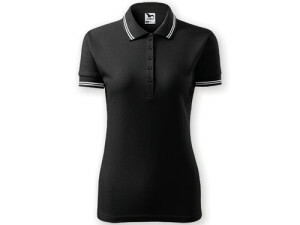 Material: EVA.